Blenheim Palace have put together a Top 10 ideas list for you to treat your Dad this Father’s Day weekend. Discover the world of the aristocracy this Father’s Day at Blenheim Palace in the new Upstairs Tour. Explore the Guest Rooms, none of which have been open to the public before. Previous guests have included Queen Mary, King Edward VIII and Wallis Simpson, as well as Cecil Beaton and Yves Saint Lauren. Visitors will also see family rooms such as the Blandford Bedroom, the Sunderland Dressing Room and Bachelors' Row in the tour which includes secret corridors, interlinking doors and spiral staircases. 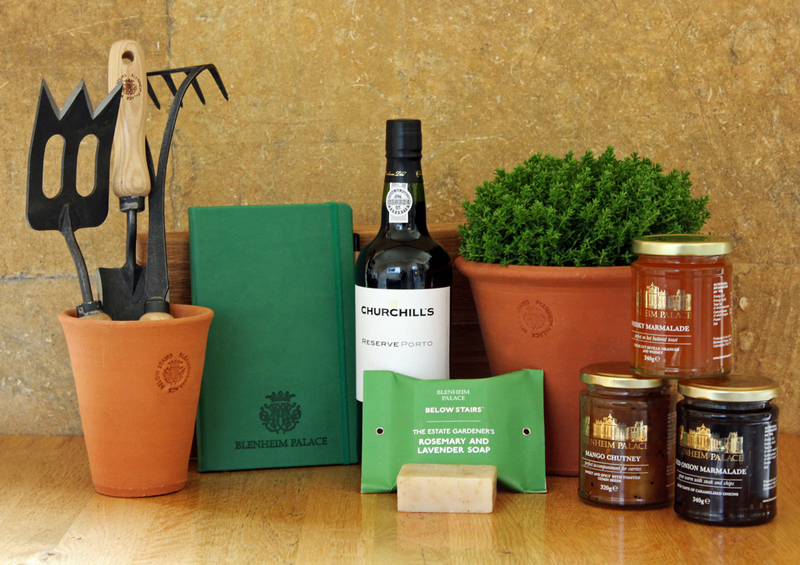 Treat your Dad to some of the best gardening tools in Oxfordshire! 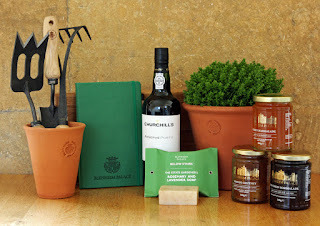 Available in the East Courtyard Shop the beautifully designed range includes a Hand Rake, Hand Trowel and a Hand Spork! The range also includes something even the toughest hands may like; Estate Gardeners Rosemary & Lavender Soap. Perfect for gardening enthusiasts, Dads will love tickets to the Blenheim Palace Flower Show. It will be opened by Alan Titchmarsh who will join visitors in celebrating the very best of gardening. The Grand Floral Pavilion will be full of the UK’s finest nurseries and growers giving you expert advice and ideas for your garden. There will also be 250 stalls in the Shopping Village to enjoy. For the motoring enthusiast Dad why not get tickets to Blenheim Palace’s Auto Rally? See over 400 vehicles, including some of the finest and most valuable examples to be found anywhere in Europe, dating from the early 1920's through to the seventies, the Rally of the Giants is the must-visit event for anyone with an interest and passion for American motorcars, trucks, military vehicles and bikes. Servants were essential to the aristocratic way of life. It would have been completely impossible for the family to take care of themselves, to manage the house, look after the children and let alone host a fancy dinner party, without the help of servants. Enjoy learning all about life downstairs at Blenheim Palace this Father’s Day. You will wander through the network of corridors, see the iconic bell system and learn the gossip and perks of the job from the staff’s point of view. Treat your Dad this Father’s Day to a very special gift from the East Courtyard. Choose from a selection of delicious Blenheim Palace Preserves including Red Onion Marmalade, Mango Chutney and Whiskey Marmalade. Add in a bottle of Churchill’s Reserve Port and you have the perfect cheese and biscuit accompaniments. Pack up a picnic, stock up on fizz and join the party for the Battle Proms Concert. Enjoy an exceptional evening of classical music, carefully choreographed Spitfire and cavalry displays, dramatic cannon fire and a stunning firework finale. The concert will take place at a new location within the Park for 2016 - just west of the spectacular Column of Victory. Celebrate Father’s Day with an exclusive Tasting Dinner on 22 and 23 June with Chef John Campbell of The Woodspeen. Attend a champagne reception, three course tasting menu, wine pairings, and insider tips from Chef John Campbell to recreate each dish. Take your Dad an unforgettable evening of live music in Blenheim Palace’s Great Court. The atmospheric line-up includes; Max Richter – award winning composer, Gregory Porter & Jamie Cullum with special guest Corinne Bailey Rae, and The Jacksons and Kool & The Gang with Andreya Triana. Perfect for Father’s Day book a very special lunch in the new Orangery Restaurant. Overlooking the private Italian Gardens and serving up a delicious selection of dishes enjoy lunch followed by an exploration of the Formal Gardens.